This one was not scripted to be double-sized. That was something Marc brought to the table and I think the moment here is served well by it. Additional kudos to Marc for pulling this strip out on time even after his Wacom tablet went kaput on him. Perfect excuse to not keep the schedule, but Marc doesn’t take it. If you’re a fan and not baking cookies right now to send his way, shame on you. Methinks Jerry carefully laid out plans have gone from being all wet to being flushed down the toilet with the rest of the #*IT. Only thing I know for sure–Jerry has no idea one way or the other. Finally. Well, okay, but I hope Marc likes burnt-flavored cookies. Bye Star. It was nice having you around. Say hi to your dad. …and there goes Jerry’s plan. Fortunately, despite all the other damage, the electricity still worked and the television wasn’t busted. And who stays at a hotel called Castle Anthrax? Wait, this is Vegas. Question withdrawn. Haha. That made me laugh. nice. There’s a Star Maiden dashing in the sky. I’m not liking mean Star Maiden. Don’t like strong women, Greg? Strong’s okay. Spy Gal is supposed to be plenty strong. Mean, however, isn’t. I miss crazy star maiden too. But she just left! Nah, I’m with ya. Crazy Star is so much fun. As much as I miss crazy Maiden, this one really is throwing the monkey wrench around. As in wrench in a blender and exploding glass everywhere. Man, the robot may not be down for the count but took a terrible hit! Jerry must be doing more than sweating! My only gripe with the artwork is the second panel with Maiden’s face. Her lip looks like a bloated tongue. I almost thought she savoring choking Swifty before I realized it was her lip. Other than that the artwork is sweet! Good stuff with her flying through the Donut-bot. Jerry is sweating–and for more reasons than one! Remember: he’s on top of that thing. Bad place to be when it’s been hit. It looks like business it about to pick up! With star maiden back to her old ways…and obviously able to remember what transpired at valhalla…i think our Mr. Jerry is going to have to answer for a lot of things and soon. I was hoping for a bit more of a fight, BUT it was pretty neat seeing her 1-shot the robot as a free action passing through. HAH… passing through…. So either the robot ISN’T down for the count, it’ll pull itself back together with a hyperactive self repair/restore system, or there’s a contingency bomb installed in the robot in the event is suffers terminal damage to either destroy any evidence connecting it back to Jerry or make one last ditch effort at exterminating our heroes. You won’t have to wait long to find out what happens with the robot. Only 11 strips left in this chapter! This chapter has gone by very fast, more so than any other of comparable length. This is the longest chapter so far, right? It really doesn’t feel like it. So much has happened. I’m really glad to hear you say that, Tyler. Yeah, this chapter is a good 15 strips longer than any other chapter already, and there’s still more to go. I’m telling the story very differently with Marc drawing two strips a week and the pacing should feel different. Also, bonus, this chapter brings a lot of the story to a head, so that’s part of why it feels like a lot is happening. A lot IS happening. I hope to keep it up going forward, but we’ll see. Am I the only one possibly thinking that part of Jerry’s plan was to show Swifty just how much of his life has been a waste (by having Star do it for him)? SuperFogeys - 422 – Whoof! 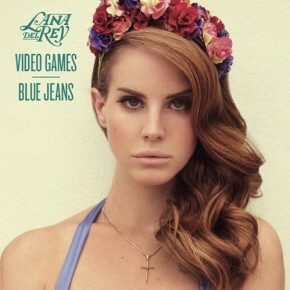 Lana Del Rey comes in at number five with "Video Games," but "Blue Jeans" is just as good. What follows is my list of favorite songs of 2011. I consume a lot of music, but I don’t hear everything. I don’t even hear everything the year it comes out. So keep that in mind as you read this list. This is MY 2011. It may not bear complete resemblance to the actual 2011. 10. Helplessness Blues – Fleet Foxes – I wasn’t entirely sold on their second album, but the Fleet Foxes built an evocative, perfect song in “Blues.” This is what I want the Foxes to sound like all the time. 9. Young Blood – The Naked and Famous – I thought about not even including this song just because it’s been used in every commercial and movie trailer that came out this year. But. But… I can’t deny it’s a great song and I discovered it long before the mainstream public did and fell in love with it based on its own strengths. So here it is at number 9. 8. Colours – Grouplove – This was tough. There are so many Grouplove songs I love, but this one with the stuttering lyrics and pounding rhythm was the first I heard. And it’s still the one that resonates most strongly with me (though Love Will Save Your Soul is a close second). 7. Headlong Into the Abyss – We Are Augustines – This one hits the sad/inspirational sweet spot that I’m always a sucker for. The dude’s voice is odd and I can barely understanding what he’s saying, but the emotion is so clear that this song means whatever I want it to and changes from moment to moment. I never want to read the actual lyrics. 6. Open Arms – Elbow – The only song to ever really make me cry. When I hear the chorus, I imagine my God speaking to me in the moment of my death, saying the words I long to hear. Maybe that’s a nutty thing to read into a pop song, but there it is. I feel this one down deep. 5. Video Games – Lana Del Rey – This is the newest song on this list. The lyrics paint such a beautiful, sad picture. If you’re a Scott Pilgrim fan, imagine if it wasn’t a comedy and Knives Chau got to sing a ballad. This is exactly what she would sing. Exactly. Haunting and spectacular. And when her voice goes light and airy at end of the line “I heard that you like bad girls honey, is that true?”–man, that kills me. 4. We Are Young – Fun. – This band and Grouplove are the finds of the year for me. This is just a perfect singalong track that I can’t believe it’s not already a huge hit on the radio. It may be, I dunno. I don’t listen to the radio. Can’t wait for the full album in 2012. Just a stunning song. I dare you to resist it. 3. Numb – The Airborne Toxic Event – My current favorite band and the best song off their second album. Why this wasn’t a bigger hit, I’ll never know. Love the guitar on this. Such a great sound. Pop mechanics with an emotional undercurrent. That’s Airborne’s stock in trade. This is one of their very best. 2. Tigers – The Submarines – I played this song so much this year that one day my wife and daughter just started singing it together spontaneously. I had no idea they even knew it. The song is addicting. I dunno why, but as soon as it’s over I want to start it up again. Great duet about the challenges of being a couple. A married couple, from the sounds of it. 1. Faster and Louder – Peter Furler – I’m really surprised to find this one at the top. Peter was the leader/songwriter for the Christian band Newsboys for more than two decades. He left the group to do his own thing a couple years ago and then unexpectedly came out with a solo album. Dude is in his 40′s and you can’t tell by the album. Faster and Louder is his new credo. His rebellion against an artist’s tendency to slow it down as they get older. Mellow it is not. Peter’s pop sensibility is finely tuned and the clever lyrics he deploys here put this song on the top of every mix I made this year. The drops are insane. Can’t hear this one enough. That’s it! You can listen to my Top 10 2011 playlist on Spotify right here. Which tracks stood out for you this year?